Saldoflex is a company that are specialists in producing both automatic bag making machines and flexographic printing machines, actually Saldoflex is one of the world’s leaders in automatic hot welding of plastic film and flexographic printing. The machines have been well known for their quality and reliability for more than 50 years. 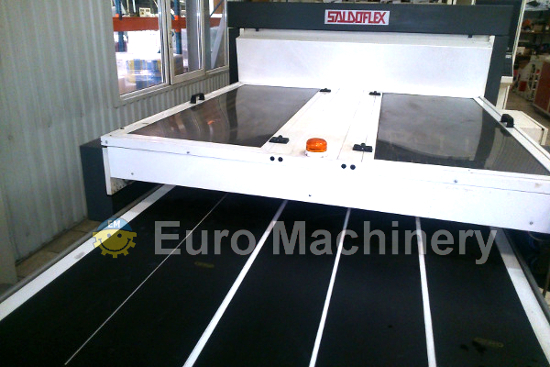 The company focus on quality, versatility and the machines perform with high speed. Saldoflex has the flexo printing division brand Filippini & Paganini which produces printing machines with 6 or 8 printing colors and are user- friendly, innovative, providing great printing quality. Euro Machinery have sold many high quality flexographic printers worldwide for many years. The flexoprinters of Saldoflex are specialized in printing on packaging films with materials such as PE, PP, BOPP, paper etc. If you wish to buy or sell Saldoflex flexographic printing or bag making machines please contact us.